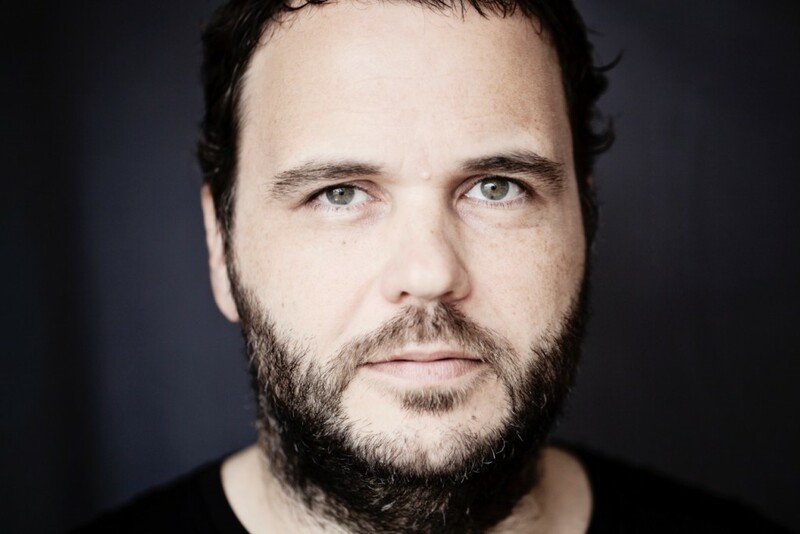 Mainz-bred DJ and producer Ian Pooley sets the tone for contemporary grooves in house and techno for more than two decades. His extensive discography, including his timeless classic albums Meridian and Since Then, demonstrates his chameleon-like ability to address a diverse audience without neglecting the groove and why the A-list remixer is a constant in the ever-changing electronic music league. Hi Ian! When was your first contact with music and what role did it take during your adolescence? I can’t exactly remember when but I started listening to my mum’s records when I was 7 or 8 years old. I remember that I’d always prefer the more electronic ones. She had two Kraftwerk albums that I loved the most. Was there an influential record store, radio show or club that help you to acquire your knowledge of house and techno from Chicago and Detroit? Definitely, Knie Records in Wiesbaden (1988-90) and Boy Records in both Wiesbaden and Frankfurt. None of the other guys were into the stuff coming from Detroit so I was the only one buying Transmat, KMS and Metroplex records. I was listening to that stuff all day at home. You were part of the late-‘90s collective Mongoloids including Armand van Helden, Daft Punk, DJ Sneak, Roger Sanchez and Todd Terry amongst others. How was the experience of touring with Daft Punk & Co.? It was a lot of fun, they are pretty down-to-earth guys. We have similar interests, so we’d go to the cinema or museums e.g. What motivated you to change your musical patch by focusing more on Latin sounds, collaborating with Brazilian artists like Marcos Valle, Rosanna & Zélia amongst many others for your Since Then and Souvenirs albums? I wouldn’t say Latin sounds. I was only into the bossanova/samba stuff. I don’t why , I was just fascinated by the groove of the music and the melancholic harmonies. I still enjoy listening to it but in my production I moved on a while ago. You were in-demand remixer for pop and dance luminaries such as Daft Punk, Yello, Deep Dish, Sven Väth, Green Velvet and many more. How did you perceive the transformation of the music business over the last years that compelled also producer-only musicians onto the stage to make a living out music? The scene started changing around 2003/04. Everybody was downloading music illegally and all the record labels were suffering a lot as well as producers. Back in the ’90s you would make a living out of 50% being a DJ and 50% a producer. All over sudden it changed to a ratio of almost 70/30. It took a while to adjust for everyone I guess’. 6. Is your 2012 CompuRhythm EP another turning point in your career? Well, I think it gave people an idea about what music I’m into these days and where I see myself as a producer. Your tracks stand out with an exceptional focus on few elements. Does limitation benefit creativity? For sure. I think you create your best music if you limit yourself. There’s too much choice (loops, plugins, soft synths) these days. It keeps you away from focusing on necessary elements and getting rid of unnecessary ones. You resurrected your techno alias Silvershower, which will also debut your new label Montage with the Damage EP. Why did you decide to revive an old moniker and re-discover the darker, hypnotic realm of your production style? Plain and simple : It’s fun! Can we expect live performances from you again? We read that you sold your old TB-303 to Matt Edwards (a.k.a. Radio Slave) recently. What role does the Akai MPC 3000 take for your production career and do you hesitate to part with analogue gear with which you associate memories? I had two 303s , really only needed one (smiling). I usually never sell anything. What’s next for Ian Pooley? I just started working on a new album, fingers crossed I’m finished by May/June .